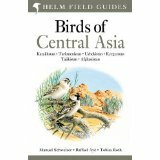 Birds of Central Asia is the first field guide to include the former Soviet republics of Kazakhstan, Kirghizstan, Turkmenistan, Uzbekistan and Tajikistan, along with neighbouring Afghanistan. This vast area includes a diverse variety of habitats, and the avifauna is similarly broad, from sandgrouse, ground jays and larks on the vast steppe and semi-desert to a broad range of raptors, and from woodland species such as warblers and nuthatches to a suite of montane species, such as snowcocks, accentors and snowfinches. With a rich avifauna of more than 350 species that includes 29 endemics, the island of Sri Lanka is one of southern Asia's most popular birding destination. 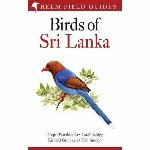 This new field guide provides full coverage of every species on the Sri Lanka list, including most vagrants, with particular emphasis placed on endemic species and races. Detailed text highlights key identification criteria, along with accurate colour maps. The Netherlands Antilles comprises three main islands off the coast of northern Venezuela. These are Aruba, Curacao and Bonaire. The colour plates are based on the bestselling Birds of Northern South America, but many new images have been painted specially for this book. The authoritative text highlights the key features needed to identify each species in the field, and the plates illustrate every distinct plumage and race. This will be the first ever comprehensive field guide dedicated to the birds of the region. 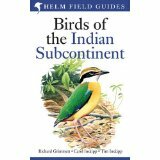 This highly recommended field guide covers all the bird species found in India, Pakistian, Sri Lanka, Nepal, Bhutan, Bangladesh and the Maldives. The plates face the descriptions and maps for quick at-a-glance reference. Many of the plates have been repainted for this edition and a number of new species added. This guide also provides tables, summarising identification features of particularly difficult groups such as nightjars, warblers and rosefinches. The UAE is an increasingly popular tourist destination, with a good infrastructure for visitors. This new field guide covers all the birds of these Gulf states. 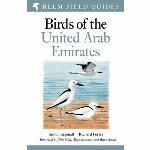 The new text written by Simon Aspinall and Richard Porter is specific to the Gulf, and new maps are provided for all breeding birds and regular visitors. This compact field guide, based on Birds of Seychelles by Adrian Skerrett, Ian Bullock and Tony Disley (Helm 2000), is the only field guide to cover every species recorded in Seychelles. It covers more than 250 species, including all residents, migrants and vagrants. Concise text on facing pages highlights key identification features, including habitat, distribution, status and voice. The plates are based on the authors' previous work, but with the addition on many new images. The text has been completely re-written and revised for this edition, and the plates are been re-worked to accommodate a number of new additions to the country's list. There are now 12 more plates than in the first edition. From the authors of the superb and comprehensive Birds of West Africa, this is a compact country specific bird guide to Ghana, one of the safest and most accessible countries in Western Africa and rapidly becoming a top tourist and birdwatching destination. It uses illustrations from the Birds of Western Africa, with new text and maps specific to Ghana. The result is a compact and up-to-date guide to all the birds that Ghana offers. A guide to some of the rarest birds in existence, brought together by the maps showing where in the world you can find them. The book focuses on 50 captivating stories of the very rare, including remarkable discoveries of species new to science, rediscoveries of species not seen for centuries and some of the recently vulnerable. Absolutely fascinating accounts and eminently readable. Ethiopia is one of Africa's top birding destinations, harbouring dramatic scenery, a wonderful diversity of habitats, over 30 endemic species, and a number of other regional specialities that cannot be easily seen anywhere else in the world. No self-respecting world lister can afford not to go there! This new book is a comprehensive site guide to the 50 best birding sites in the country. The book is completed with an annotated checklist of all the country's birds and more than 150 photographs of birds, habitats and even some of Ethiopia's other fauna and flora. Containing hundreds of stunning photographs, Birds of Jamaica, provides full photographic coverage of every species on the Jamaican list (including vagrants). With a rich avifauna of more than 300 species that includes some 25 endemics, the island of Jamaica is an increasingly popular birding destination. Concise text for each species covers identification, voice, habitats, confusion species, status and distribution, with a map for resident and migrant birds. This guide is an essential companion for anyone visiting this amazing island. Long awaited, the first ever field guide to North East Africa. Featuring more than 1000 species, well illustrated with concise text and up to date maps on the facing pages. A very welcome addition to African bird literature. This atlas provides, for the first time, an accurate assessment of the distribution of each of the 870 species known from Ethiopia and Eritrea, including valuable information on breeding. The succinct text summarises the results and discusses distribution to subspecies level. There are extensive introductory chapters covering topics such as topography, geology, vegetation, climate, habitats, conservation, migration, breeding seasons, bird ringing, and the history of ornithology in the region. This is not a field guide and should be used in conjunction with the above book if identification features are needed. Birds of East Asia (Helm Field Guides), Eastern China, Taiwan, Korea, Japan, Eastern Russia. This is the first single volume guide devoted to the eastern Asian avifauna. Birds endemic to this region include representatives of many of the major families, from the world's largest eagle - Steller's Sea Eagle - to the tiny Formosan Firecrest. The guide features the most up-to-date text available, which, in conjunction with extensive colour plates throughout, facilitates the field identification of all of the species known from the region. Colour distribution maps enhance the text by providing a visual analysis of the summer, winter and migratory ranges of all species. Detailed accounts of the status, with distribution maps, of all the birds ever recorded in Turkey. An indispensible, must have reference guide for any serious birder visiting the area. Includes photos of some of the key species and habitats. A stunning book with marvelous photography, it just makes you want to go out and buy that round the world bird watching ticket. Although no two birders could ever agree on the same top 100 sites, Dominic Couzens makes some really inspired choices, choices that will resonate with world birders everywhere. Buy it and dream! RSPB Guide to Birdwatching, A Step-by-step Approach. A wonderfully comprehensive guide for anyone taking up birdwatching for the first time or simply wanting to further their skills. It has something for birders of every level, to be read from cover to cover or simply dipped into. Lots of really nice photos and all those "did you know facts" to delight your friends. A Complete Guide to the Birds, Mammals and Natural History of the Antarctic Continent and Southern Oceans. The best photographs yet from Antarctica, lavishly illustrated, good maps and robust scientific analyses of the status, taxonomy and conservation of all the species likely to be encountered. An excellent concise and well illustrated field guide from the Helm Stable featuring all the 470 species likely to be encountered on a visit to Trinidad and Tobago. New and up to date. The 6th edition of Clement's essential list of the world's birds. All known species and suspecies are listed. It remains the most established resource on the taxonomy and biogeography of birds for the world birding community. This volume presents the most complete modern summary of the latest surveys and research on all the birds now found in the Thai-Malay Peninsula. Over 380 species are described using data derived from field and museum research, as well as previously unpublished data. A very import reference for any visitor. This is a valuable addition to the literature of the West Indies. 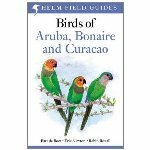 In this book, all 302 species known to have occurred on the islands are described and illustrated and information on the biology and ecology of the birds is also given. This is the only comprehensive field guide devoted to the birds of Hispaniola, providing new information from the authors' personal research on the biology and ecology of the island's avifauna. "Birds of the World" unifies and standardises the avian nomenclature of the English-speaking regions of the world. It provides recommendations for the English name of every species of bird, and comes complete with a CD-rom containing searchable and sortable Excel files of all the material in the book. Accommodating the very latest taxonomic revisions, this landmark volume will become an invaluable reference on the subject for scholars and ornithologists around the world. David Tipling's photos are simply superb and the advice that he provides on every aspect of digital photography, from equipment, fieldcraft, locations and composition, post-processing and computer manipulation of images, through to getting your photos published is practical, comprehensive and inspiring. The charming story of one mans facination with a Red-winged Blackbird (George) and his gradual transformation into an ardent and skilled local patch bird watcher in New Yorks Central Park. Full of birdy anecdotes and carefull observations, the book is a delight to read. Long awaited. This excellent guide is the first to deal exclusively with the birds of this spectacular region. It covers all resident, migrant and vagrant species found in Macaronesia which comprises the Canary Islands, Madeira, Azores and Cape Verde. This has to be the field guide of choice for anyone visiting the islands. The status notes on all the birds are particulary welcome.